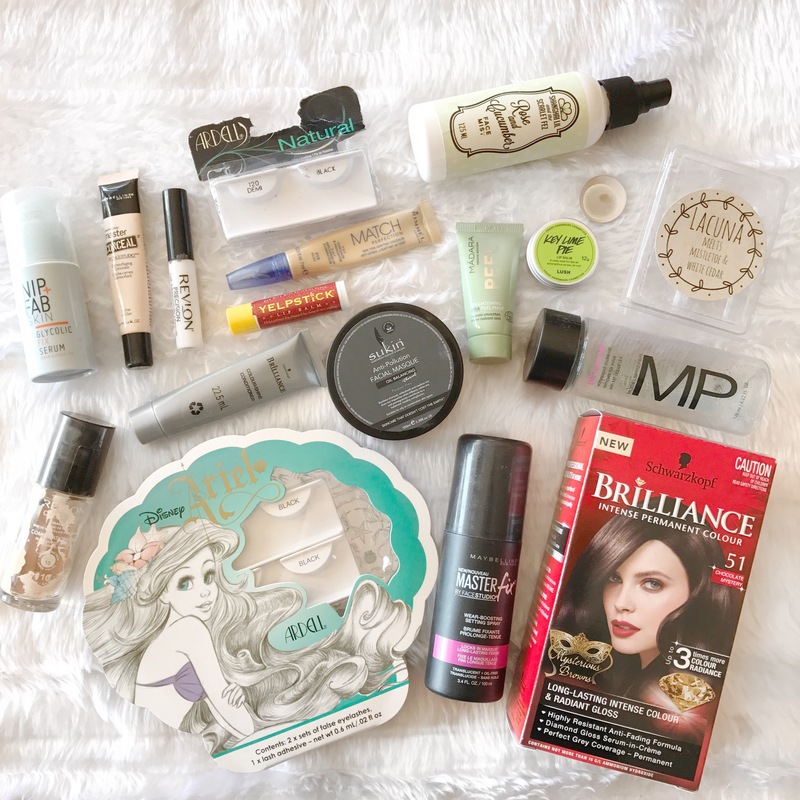 Today I wanted to show you my empties for last month! I managed to finish up so many products and I’m so excited about it because it means that I’m really getting my money’s worth! I hope that you enjoy the post! I finally admitted to myself that it was time to let go of my trusty pair of Ardell Demi 120 lashes. I adored them and I really wore them to death. Ardell make really great quality lashes and they’re so cheap so I think they’re really worth the money. I do buy cheap ones online as well but they’re mainly for my creative makeup looks because I can afford to ruin them. I also removed the lashes from my Ardell Ariel packaging and moved them to their own travel case so I was able to declutter probably the prettiest packaging I’ll have ever owned. I finished up two concealers. I had a few different concealers on the go at one time so it was taking me ages to finish the Maybelline Master Conceal. I really like the concealer because it is nicely pigmented and very fair, perfect for me in winter. Once I finished that, I moved to my backup Rimmel Match Perfection concealer that I’d loved years ago but there was a bad batch where they had hardly any product and were pretty much filled with air so I never bought again. Let’s just say they’ve still not worked out the issue and I only got 3 uses out of it before it was empty. I was so sad but I had another back up concealer to move on to so it wasn’t a big drama. Just not a great concealer experience. I finally finished the Makeup Geek single shadow in Vanilla Bean. I’m really pleased with myself and I’ve now freed up some space in my palette for some more fun colours. I haven’t gotten around to ordering any because I do feel like I have enough shades but I’m sure I’ll want to try out a new colour palette soon and I’ll need to buy some singles to suit that! Finished a few skin care items, none of which are really fantastic but I do repurchase the Modelsprefer eye and lip makeup remover because it’s cheap and gets the job done. I also dyed my hair and used up a conditioner that comes with the hair dye! I love this colour but it does fade pretty quickly on my hair, no matter what shampoo and conditioner I use.